I did it! I did it! 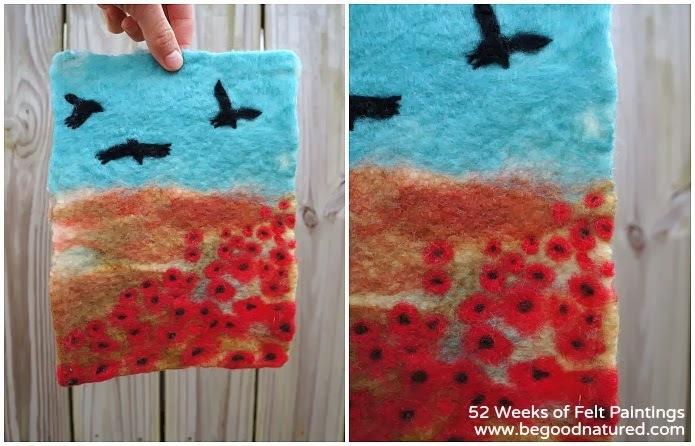 I finally tried my hand at wet felting--I can't believe I've waited this long. I definitely still have some learning to do and techniques to develop, but I'm so excited to do so! The painting is my very first piece. I added the center of the flowers and some crow detail with needle felting, but everything else is wet felted. It's incredibly thin, which is a fun change. 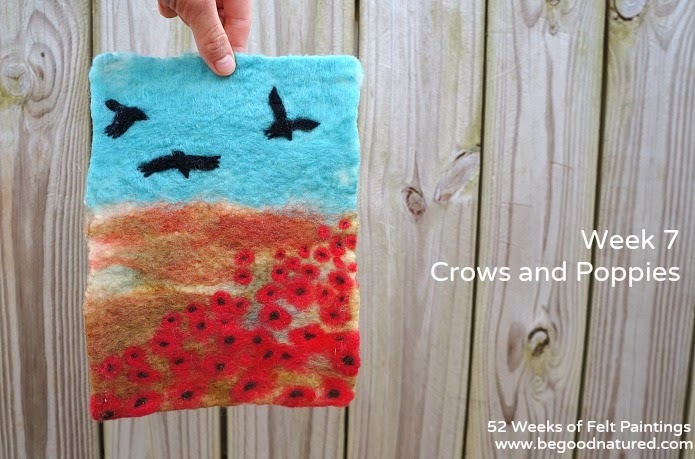 Oh, I can't wait to try out some more wet felting! Cool! What's the difference in the process?